Mahatma Jyotiba Fule Ruhelkhand University, Bareilly is organizing UP BEd JEE 2019 this year. Candidates can get admission to B.Ed Courses in various Government / Aided / Self-Financed Colleges and Universities located in the Uttar Pradesh State, after qualifying this examination. Application forms for the examination have released. To get all the important information about UP B.Ed JEE 2019 like Eligibility Criteria, Important Dates, Application Fee, Exam Pattern, Admit and Result read the article below carefully. 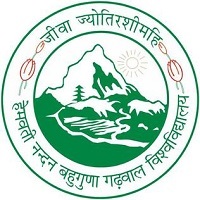 UP B.Ed JEE 2019 Application Form has released 11th February 2019. 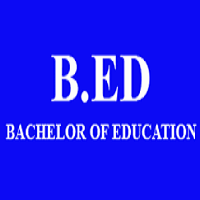 Click Here to Apply for B.Ed JEE. Indian nationals can apply only. Candidates need to fulfill the status of local resident and ensure for having satisfied the domicile criteria. Graduated from the any recognized University of Uttar Pradesh or any of the Central University required with a minimum of 50% marks. In the case of Bachelor of Technology /Engineering (B.Tech or B.E) candidates need to obtain a minimum of 55% marks in Mathematics, Science, and in other subjects to apply for the test. The minimum age limit of the candidate should be 21 years. Candidate can obtain the UP B.Ed JEE application form either directly from the university or else can download the form online through the official website. The online application form will be issued from the website. Fill the necessary details in the application form very carefully and accurately. The incorrectly filled details will lead to the cancellation of your application. The application fee shall be paid after the candidate has registered for the examination. Only after paying the fee candidate will be able to fill the application form for UP B.Ed JEE 2019. The paper will comprise of objective type questions. For each correct answer, two marks will be rewarded and there is also the provision of negative marking. For each wrong response, 1/3 mark will be deducted. Candidates will be able to download it from the official website. Admit card shall be released in the month of April 2019. The candidate has to enter their registration number, Date of Birth, to download the admit card. Candidates are advised to take a printout of the admit card on an A4 size sheet. Without the valid admit card, no candidate shall be allowed to give the examination. Candidate must carry two copies of the admit card, one will be handover to the invigilator in the examination hall. Candidate must put their left thumb impression on the downloaded admit card in the space specified for it. Exam Centers Code No. Exam Centers Code No. The result shall be announced in the month of May 2019. Candidate will be able to fill the choices of colleges for the counselling procedure, only after the result declaration. Candidate should have a hard copy of the result at the time of counselling. 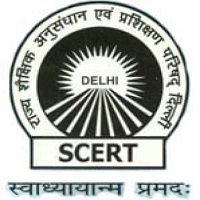 Seat allotment for the colleges will be based on the rank obtained by the candidate in the entrance examination. Counselling schedule shall start in the month of June. The counselling procedure will be held in 6 stages. Candidates have to fill the preferences of the colleges before the counselling schedule. Candidates will be allotted the college of their choice if they fulfil the criteria. 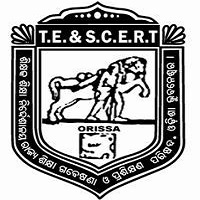 Jisane B.Sc.final kar liya he unke liye B.Ed kitane years ka hoga. 2 year at this time but mai aapsey kahta hun ki aap phir se comment me boliye ki 1 year ka ho jaye. graduation degree walo ke liye B.Ed kitne year ka hoga.??? ?……4 year ne ho to achchha hoga….!!! Sir,I obtained the marksin graduation below 50% and I belongs to general category but I obtained the marks in MA previous 54% of marks and the final year is appearing. Am I eligible to apply for BEd entrance exam this year or not? Sir UP Bed Entrance ke liye study material Suggest Kijiye. SIR, AGAR AAP CHAHEY TO B.ED 1 YEAR KA BHI HO SAKTA HAI. BUT AAP 4 YEARS MAT KARIYE SIR. WITHOUT GRADUATION KE B.ED ME ENTRY MAT DIJIYE SIR. B.ED ADMISSION SC ST FREE. I passed B.tech in Electronics and Communication Engineering in 2014.I can do B.ED or not. Sir bed ke liye 21 year jaruri hai kya? Up bed 2018 ke official notification me aisa nahi tha na hi bihar bed 2019.plese clear kare. Sir mera 50.38 % hai mai general category se hoon kya mai b. ed kr sakta hoon..
Mai 10+2 Hu. Kya Mai B.Ed Kar Sakta Hu?